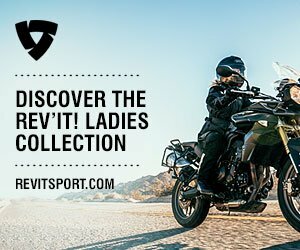 Kudos to Women Motorcycle Riders Who Rode on International Female Ride Day! Now that was great!! 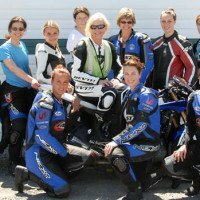 – 2010 International Female Ride Day! Just when I thought it couldn’t be bigger or more participated in, the 2010 first Friday in May outdid others! Just amazing how we all pulled together for the 4th year, got out on the bikes and made our female presence known! It was like taking a highlighter marker to white paper-we were more visible than ever; globally synchronized on the same day! 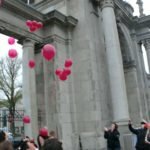 Equally amazing were women who discovered the campaign and at short notice, jumped on board and pulled together great happenings in their regions! 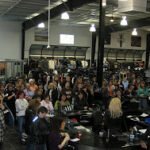 And the symbolic activities abounded-some celebrated their “women only” riding clubs that were actually formed on International Female Ride Day; the Motor Maids were glad to share unification across borders and others for special charity causes. Many women wrote in and said they ride every day, but honestly there are many more that do not. Our jobs and travelling plans or lifestyles can present challenges BUT on the first Friday in May, more women than ever before traded the business attire for jeans, and rode into work on the 7th of May! WOW, what role models! What statements! What a way to keep our momentum as women riders rolling along. There’s no going back now, not even if we tried! This campaign’s foundation has been set and is building, expanding, enjoying and lovin’ the celebration of two wheeled life. We lead the season in many countries on this day, and there’s something to be said for supporting a global synchronized celebration; making our role truly phenomenal-we cross all borders and cultures strengthening the ride! None of us need any excuse to ride yet International Female Ride Day gave many a good reason to take the day off work, or leave early- underlining and promoting women riders is truly spirited fun! Thank you for getting out there, for joining in no matter the weather, no matter the length of your ride—you were noticed, you were seen! It was you, everywhere bringing this activity for women forward that has created this most amazing global event, the very largest of its kind for women riders! See you next year Friday 6 May 2011! *Picture above from the Toronto “storm” rally for the ride home (70km per hour winds!) Photo thanx to Mondo Lulu!